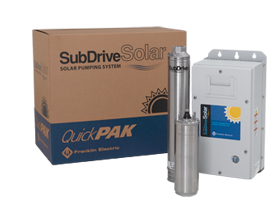 The Solar DrivE-Tech controllers offer efficient pumping and movement of water using the suns renewable energy rays to generate DC power from the solar arrays which is then converted to AC power to operate the electric motor driving your new or existing above or below ground water pump. 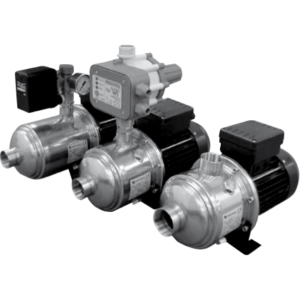 With Solar DrivE-Tech, the pump speed is constantly adapted to the available solar irradiation thus maximising the amount of pumped water and making possible operation even in low irradiation conditions. 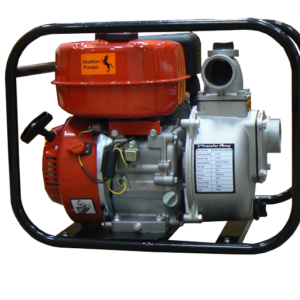 Solar DrivE-Tech offers operation of any 3 phase 230V or 400V AC motor to power any new or existing above or below ground pump with motor needs up to 15kW-30 amps max. 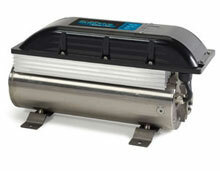 Solar DrivE-Tech is easily mounted onto either the motor to suit vertical multistage pumps or via a mounting bracket to suit horizontal pumps or installed into the control cabinet for borehole pumps.